My one word for the school year! The start of the school year is always an exciting time. Parents are excited to have their children return to school. Students are excited about the chance to reconnect with friends and start a new school year with a new teacher. And teachers are excited about the possibilities of the year ahead. Last year at this time I blogged about my hopes and dreams for the upcoming year. You can find a link to that post here. In addition to introducing myself to the Cypress Park community, I reflected on my hopes for CP students through the lens of the IB learner profile. A tradition that I have always undertaken with staff is to challenge them to choose one word that will guide them through the school year. Superintendent Chris Kennedy’s words have included: Hungry, Hope, and Relevance. Past words for me have included embrace, grit, and connection. I always put a lot of thought into my word and I take time to reflect and consider it from different perspectives, angles, and points of view. For most of the summer I thought my word was going to be “empower” and while it was a close second (look for more on that in my next blog post), I chose “opportunity” instead. 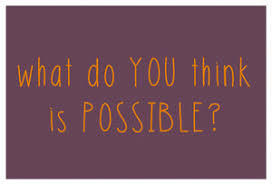 The Oxford English Dictionary defines opportunity as, “a set of circumstances that makes it possible to do something.” At Cypress Park we teach our students to have a growth mindset – to believe that anything is possible; that they are able to accomplish whatever they set their minds to, as long as they have a positive attitude about it. I might not know how to play golf, but that doesn’t mean I can’t learn, it just means I don’t know how to yet. Opportunities are all around us. They are in the choices we make and in the interactions with have everyday with one another. Opportunity makes me think about what is possible, and it challenges me to think beyond what I can comprehend as possible. – a beautiful school – surrounded by gardens, forest, and a better-than-ever playground! However we also need to ask, “what could we be doing better?” As IB learners we strive to be open-minded: we seek and evaluate a range of points of view, and we are willing to grow from experience. What are the opportunities to extend and improve the community of learning we have? How can we increase collaboration and learner agency? How can we engage and empower our students; to allow them to learn about their interest and passions? How can we continue to be a joyful place that people want to learn and play in? Opportunities are everywhere. I’m excited about the opportunities and possibilities that await in the coming days and months, and the in school year ahead! What’s your one word for this school year? Top 10 Things to do this Summer!